Spring weather is finally in full swing in New York City! The sun is shining, people's calves are showing, and I'm beginning to realize how dire a pair of open-toed sandals is to the wardrobe, though five tries to zappos.com and still nothing. Shopping, which is supposed to be super duper fun, can be such a frustrating exercise. A long overdue update on little ol' me: something happened to my skin and I think it's called "turning 24." I've been told skin changes as we grow older – what was once taut can be loose, smooth can be coarse, oily can be dry. Mine is the latter two and some other new skin concerns, like hyperpigmentation and redness. Funny thing is, even though my skin is now so dry as to be cracking and peeling, my nose remains porous, like a permanent dotting of sesame seeds. Grr. Guerlain Super Aqua Serum - I tried the old formulation a few years ago and remember loving it, so I'm excited to see how the new version fares. A few reviews on Makeup Alley suggest that it was too oily on combination skin, which is perfect for me. Bonus: Nordstrom has a limited edition set that includes a deluxe-sized toner, eye cream, and mask for no extra charge. Tatcha Enriching Renewal Cream - As I've repeatedly said, Tatcha's skincare works wonders for me. I have finished my second mist, am working through my second oil cleanser, and desperately scraping the bottom of my silk cream. I'm excited to try this new version of the cream, touted for dry skin. Rodin Olio Lusso Luxury Face Oil - When I announced my skin woes on Twitter, a couple people suggested adding an oil over my serum and moisturizer and it seems to be working! Rodin's oil is the most luxurious one I've ever tried. As for makeup, I haven't been playing at all. I can barely wake up on time for work, much less apply makeup beforehand. Maybe it's that age thing again (yes everyone, I do realize I'm "too young" to start with that, but it is how it is) but I've been gravitating toward simple looks, almost entirely eschewing eyeshadow and liner most days. 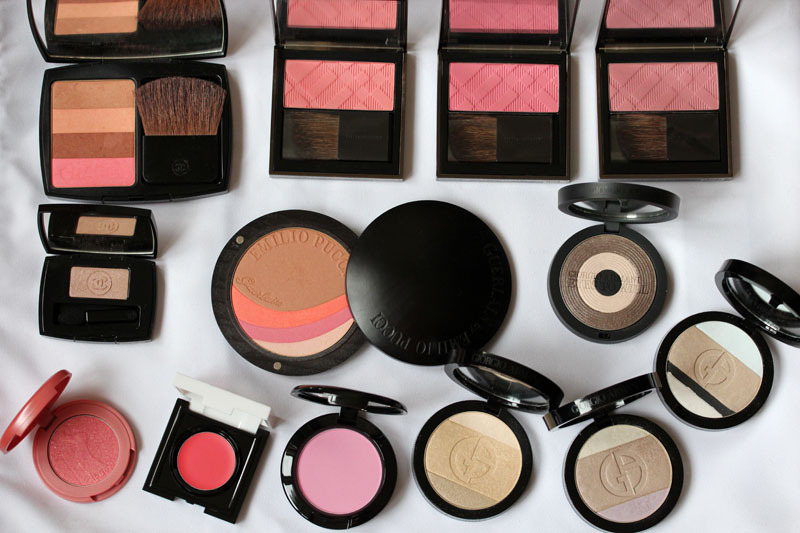 Cream blush has become one of the most important items in my makeup bag, with Le Métier de Beauté Creme Fresh Tint in Poppy leading the pack. The other good thing about spring/summer is that I will be wearing huge sunglasses that cover up half my face, so I really won't need much. In this photo I am wearing Ellis Faas Blush S302, a peachy pink liquid blended out with fingers. I applied it lightly here, but as usual you can layer it for more impact. 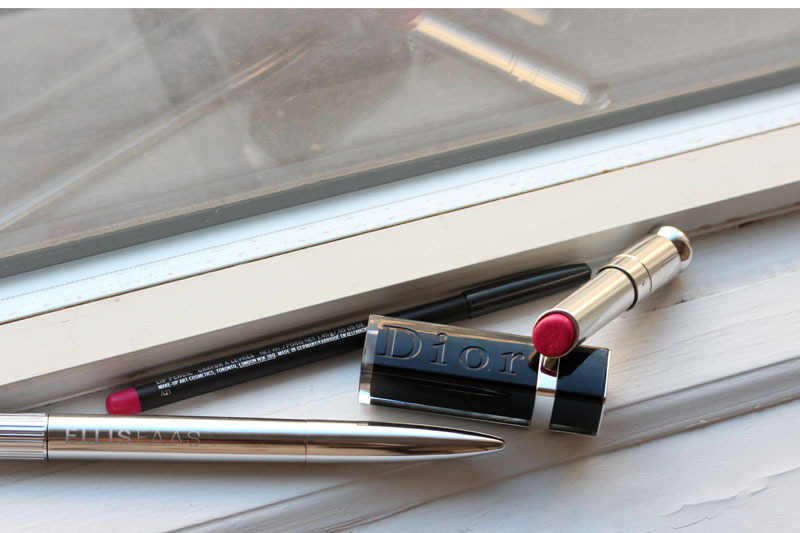 Lips are lined with a pink MAC lip pencil, topped with Dior Addict Extreme in Plaza. 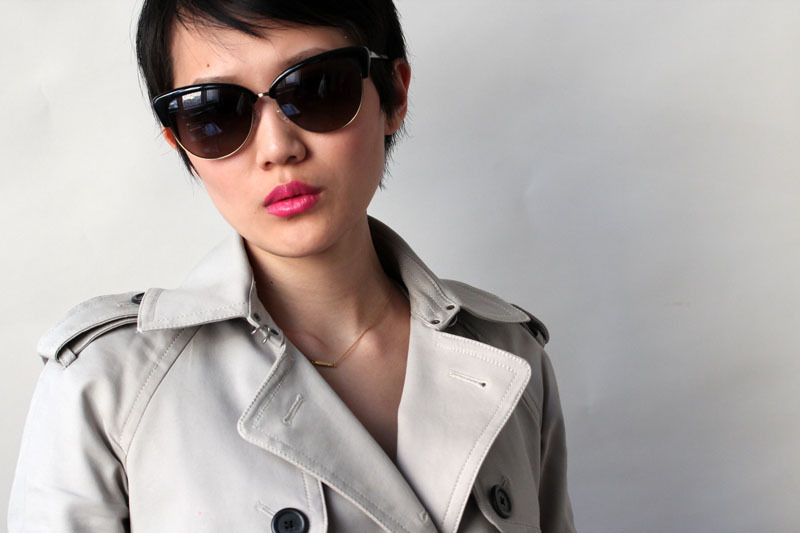 The sunglasses are a new acquisition from Oliver Peoples, while the trench coat is a great purchase from Club Monaco two years ago. 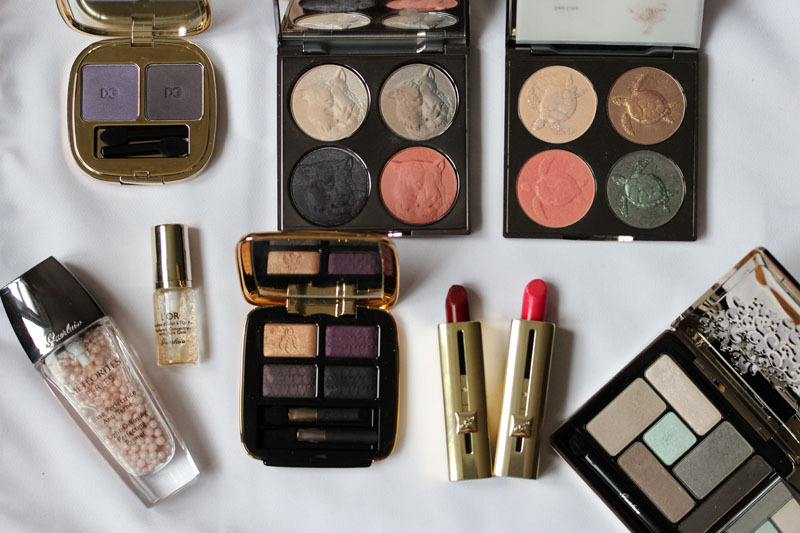 Full disclosure: This blog post contains sample products sent by PR or the manufacturer for editorial consideration, as well as affiliate links. sure I'll be informed lots of new stuff right right here! Best of luck for the next! is excellent blog. A great read. I'll certaіnly Ье back.